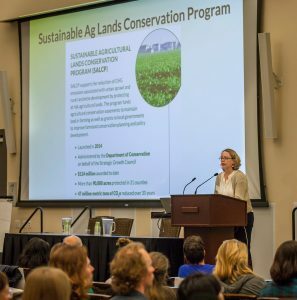 The 6th California Climate & Agriculture Summit was held on March 4-5, 2019, including a farm and ranch tour of three climate-friendly farms in Yolo and Solano Counties, a full-day conference at UC Davis, and a festive evening celebration of CalCAN’s 10th anniversary. The conference offered three tracks—practice, policy, and science—as well as a series of lightning talks. See the full program here. Find titles of each workshop below with links to presenters’ presentation slides where available. Stacie Ann Silva, New Current Water & Land LLC. 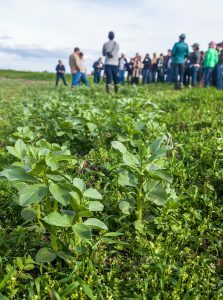 Climate Adaptation: What Can We Do to Keep Producers Producing? Can seaweed reduce methane emissions from cattle?